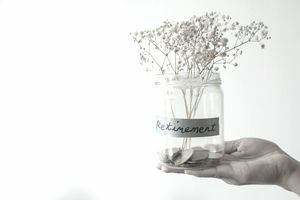 The most a taxpayer can contribute as an elective deferral to a 403(b) plan is $19,000 as of 2019, but if you are age 50 or older, you can contribute an additional $6,000 as a "catch-up" contribution. Employers can contribute up to 25 percent of an employee's salary for the year as a matching contribution. The total of elective deferrals and matching contributions is limited to $56,000 as of 2019, but these limits are indexed for inflation. This means they can be expected to increase periodically to keep up with the economy. This chart can help put it all in historical perspective. You'll see that limits have not increased significantly since 2009, but they've crept up incrementally to match inflation and the economy, at least to some extent. The elective salary deferral limit increases to $19,000 in 2019. The catch-up limit remains at $6,000. The total employee contribution has increased to $25,000. These limits apply to both any 403(b) and 401(k) accounts a taxpayer might have during the year. In other words, if you have two or more jobs or switch jobs in the middle of the year, you may have to devote some time to track your contributions to your 401(k) and 403(b) plans to make sure that you do not contribute more than the amount allowed. It might be easiest to break the annual limit into equal dollar amounts per pay period if you plan to contribute the maximum amount allowed. This will allow you to save the same amount each pay period and it will dollar-cost-average your contributions into your retirement investments. You can do this by taking your annual contribution amount and dividing that total by the number of pay periods during the year. Elective deferrals are treated separately from the employer's matching contributions. Each has its own limits and tax treatment. Elective salary deferrals can be placed into a tax-deferred traditional 403(b) or into a post-tax Roth 403(b) account, or a combination of traditional and Roth accounts as long as the total of all salary deferrals are equal to or less than the annual maximum. Matching contributions from your employer are limited to 25 percent of your salary. Matching funds are always contributed to the tax-deferred portion of your 403(b) plan. The total of your elective salary deferral plus employer matching contributions is limited to $56,000 for 2019. This amount is up $1,000 from the $55,000 limit that applied in 2018. Note: Always consult with a tax professional for the most up-to-date information and trends. Tax laws and rules can change periodically. This article is not tax advice, and it is not intended as tax advice.